SANDRA J. MCNABB provides counseling to business owners in evaluating and minimizing their risk, from entity formation through corporate governance to sales and dissolutions. Drawing on her extensive experience in business litigation, she assists clients in drafting and reviewing contracts for use in their business operations. Her experience also gives her a solid foundation to assist real estate investors in drafting and reviewing purchase agreements, leases, and related documentation. She is an AV-rated attorney by Martindale Hubbell, and is a graduate of Stanford Law School. Before joining McGlashan & Sarrail in 2005, she was a principal in an East Bay law firm focusing on business litigation, including fraud in the sale of businesses and products, partnership disputes, construction matters, and unlawful detainers. She has been a judge pro tem with the San Francisco Superior Court for unlawful detainers, and a panelist on legal issues for small business for KALW's "Your Legal Rights" program. 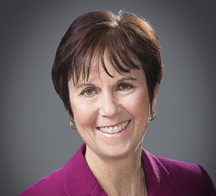 As an active member of the San Mateo Bar Association, she has been the President of the Women Lawyers Section, chaired the Employment Law Section, and is currently a board member of the Women Lawyers' Section Educational Foundation, which awards law school scholarships to deserving members of the San Mateo community. Ms. McNabb is also the Treasurer of Stanford Professional Women of the San Francisco Bay Area.